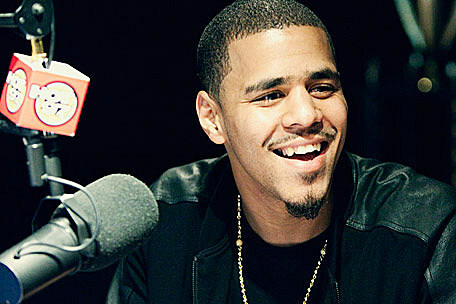 Jermaine Lamarr Cole is a hip hop icon in the making, gifted songwriter, and talented record producer. He was born January 28, 1985 with a southern soul from Fayetteville, North Carolina, a place he represents for 'til this day although he was originally born in Frankfurt, Germany. Cole has been in the rap scene since 2007 after he put out his firs official mixtape "The Come Up". His wildest dreams came true when hip hop icon Jay-Z showed interest in him, eventually signing him to one of the most sought out record labels Roc Nation in 2009. Since signing to Roc Nation Cole has put out two follow up mixtapes The Warm Up and Friday Night Lights and debuted his first charts hitting album Cole World: The Sideline Story which was followed by his even more successful album Born Sinner. Cole has been nominated fro many awards for his singles and has won a few awards so far which he is proud of being as new as he is to the music scene. As soon as J Cole dropped his first mixtape for teh world to hear I fell in love with the vibe of his music and the reality that he brings into the hip hop world that many other artist don't bring. J Cole's music for me is thereapuetic in the sense that it touches on some of the original hip hop which seems to have been lost overtime. His newest album Born Sinner definitely hold my favorite pieces from him and have guided me through times in my life that other avenues weren't able to. Last summer I went to my country Eritrea where I was grieving the loss of my father along with my family. There isn't much American music there and luckily J Coles album dropped the day before I left and I was able to download it onto my iPod. I played his album over and not only never got tired but found something new to enjoy every time I listened. His lyrics aren't the typical hip hop/rap lyrics heard today talking about women, money, and crime in misogynistic ways but it does touch on the reality of urban life tastefully and respectfully. What I also respect about him is that he uplifts his fans with positive music that tells a story of his life as well. For example, he created a song with a legendary group TLC called Crooked Smile and speak through his music about how appearance isn't everything and if there is something that's not perfect about ones appearance that they feel insecure about then they should embrace it and tell the world so what! Cole is a great performer live and stays true to himself and allows his fans to enter his world in order for them to get a more personal connection with him. He is extremely humble and has always payed what he has forward which makes me respect him more as a role model for young African Americans. One of my favorite lines that helps me remind myself that I am a human being that makes mistakes but that God is always by my side is, "I was born sinning but I'll die better then that, swear. You were always where I needed you t be whether you were there or not there". This is J Cole's main music page. his is where people can go to see his latest music, all music from his past, read his lyrics, find out what he has been nominated and awarded for, where his next performance is and much more. This website is meant for his fans to be able to come and appreciate his music solely without having to go through all the opinions from blogs about what other people think. I chose this website because J Cole is first and foremost an artist and this page highlights just that. This webpage is a one stop shop to find out everything that is going on with J Cole. It has information abotu his foundation, what he is doing in his music career, what is currently going on with his album, and much more. This page is meant for his fans to go if they want to kind of be nosy about what J Cole is saying in his interviews and who he is talking to. Also, this website includes some of the inside scoop of whats coming up that other media forums might not be privy to. This is J Cole's fan tumblr blog where his fans can interact and talk everything J Cole. I chose this site because what makes J Cole more than any other artist are his loyal fans. He may not be as large in the music industry as some of the big named artists today but his fans have always stayed loyal to him as he has to them. I think this website is a great place for people to remind J Cole that he is an amazing lyricist and that his music does touch them and change their lives in ways he doesn't know which may keep him going.